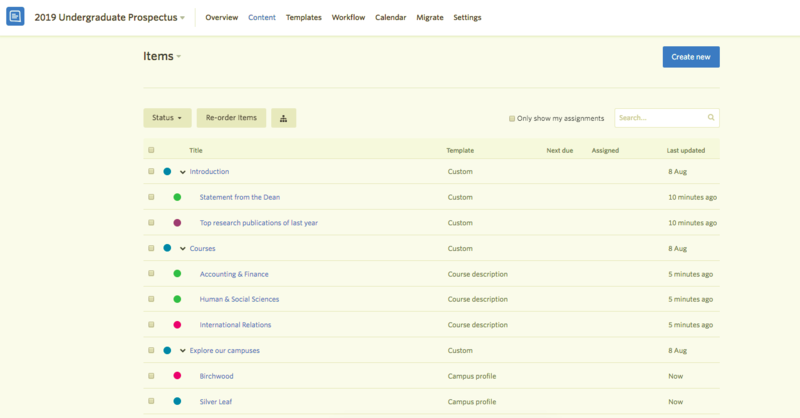 A run-through of how higher education institutions can use GatherContent to manage their prospectus/view book content. Using GatherContent you can ensure content is delivered in a consistent format and style, regardless of how many authors you have and how dispersed they may be. 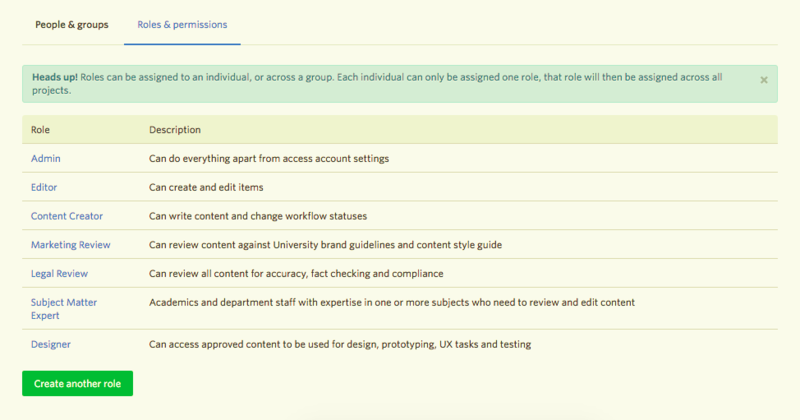 This is especially useful when producing and managing content for a prospectus or view book, where lots of departments are involved but content needs to be presented within a specific layout. Here, each section of the prospectus/view book is added as a parent item and beneath those there are individual items for each piece of content. You can create templates in GatherContent for different content types and apply it across all of those items to ensure consistency in how content is delivered. Templates are made up of a number of fields which allow you to guide your authors and editors whilst they create and review content. 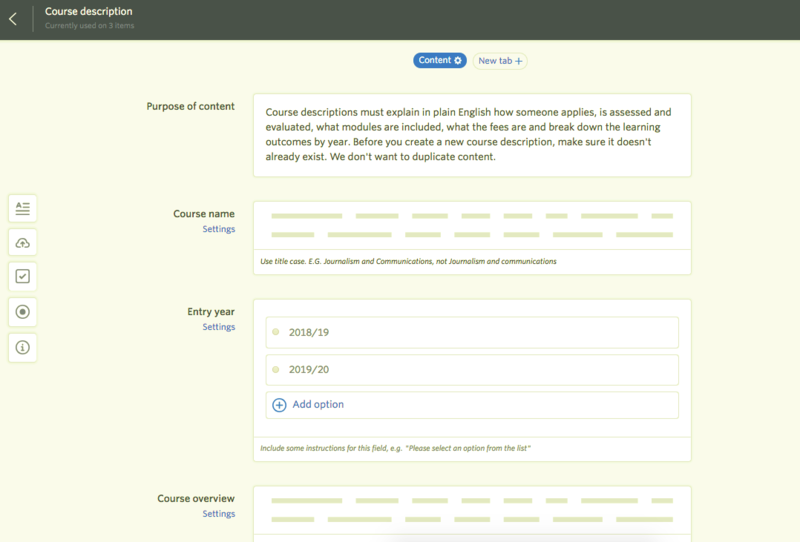 You can add instructions to the fields to help guide them, and help to create high quality content. Templates can be applied to multiple items at once, so if you have already added all of your items and created your structure and hierarchy within GatherContent, you can quickly apply the relevant templates as needed. Whilst building your templates using the easy drag and drop functionality, you can add two types of guidelines. These can provide instructions as to the purpose of the page and share rules for the page(s). You can add guidelines to individual fields. This allows authors to be aware of writing rules at the point they are creating the content. 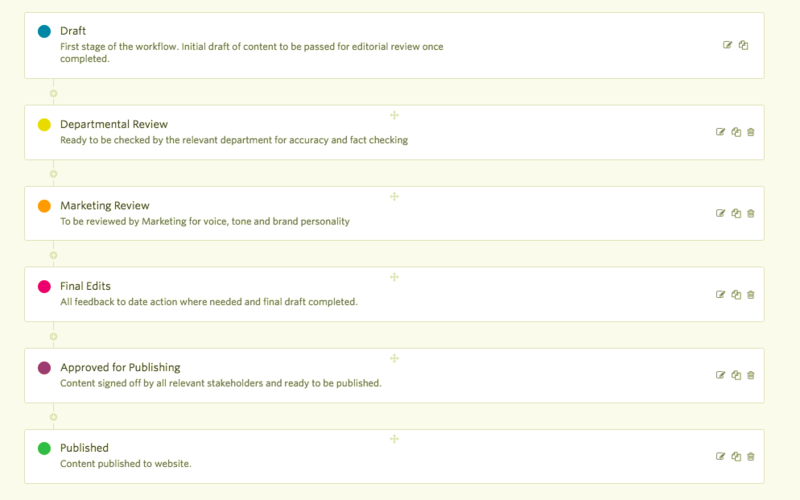 It is also an easy way to embed your content style guide within the content production process. Having detailed guidelines ensures consistency in the content being created, especially important when there are lots of people involved. This means fewer revisions and better quality content from the get-go. When your items have been added to GatherContent and templates have been applied, you can ensure that content is delivered on time by creating a bespoke workflow to match your institution’s process and structure. Workflows in GatherContent are completely customisable. They can be colour coded too, which allows for a quick overview of the progress content is making, and where there may be bottlenecks. A bespoke workflow keeps content moving and makes it clear who is responsible for what, and when. The result of this is faster approval. Structuring your content with templates and guidelines ensures consistency and high quality content will be delivered, from all those involved. A bespoke workflow with clear roles and permissions also ensures people know what they need to do and by when. Using GatherContent to manage the production of your prospectus/view book content in this way will result in fewer revisions, and therefore, faster approval of content. Along with content being high quality and delivered as needed, and on time.